I have accepted the color Orange is part of my creative life, as I discussed in my July 3rd post, Orange. As a matter of fact, I have done more than accepted Orange, I am embracing Orange! 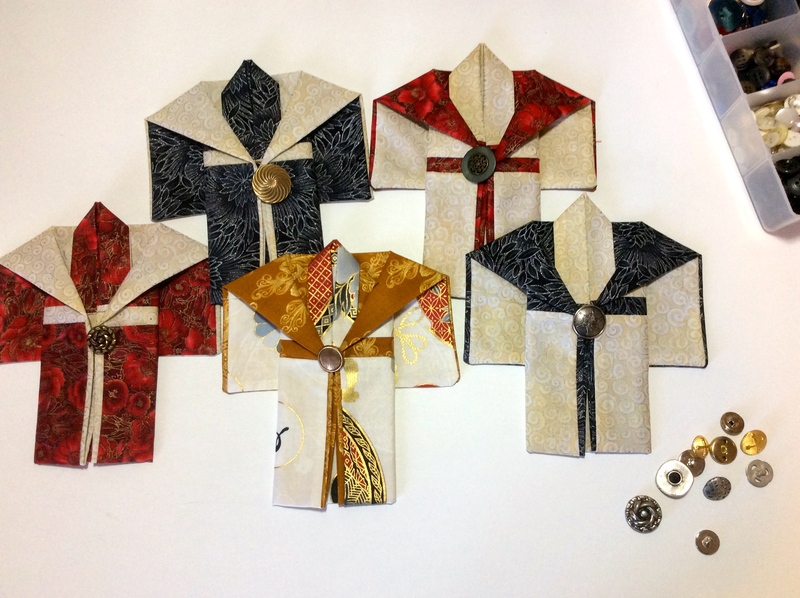 I have been building a nice button collection and I enjoyed selecting a button for each kimono. My friend Dana gave me some wonderful buttons in May at our annual Jelly Rollers Quilting Retreat (she was my Secret Quilting Sister), I still have wonderful buttons from my friend Betty Anne’s mother’s antique button collection she shared. Additionally I used a couple of the buttons from my recent antique button acquisition during the 2016 Sisters Outdoor Quilt Show (see post 2016 Sisters Outdoor Show Part I). 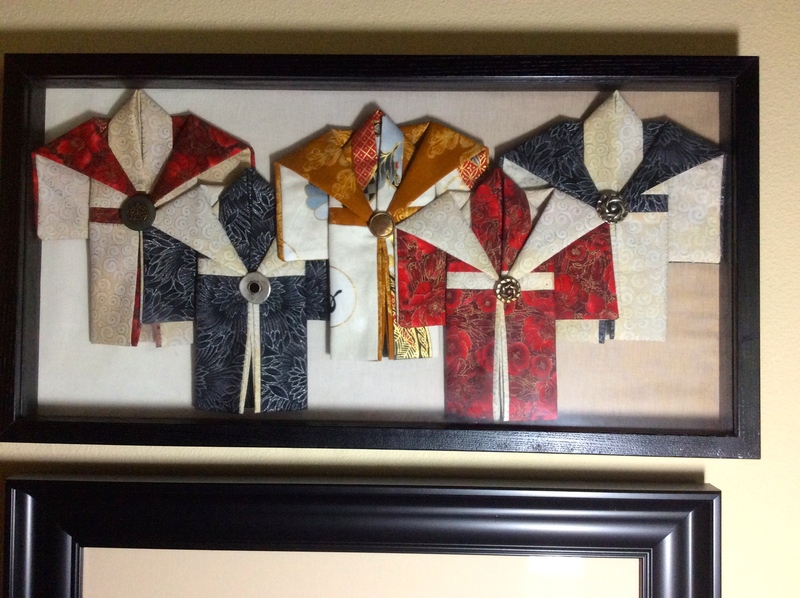 Now it is time to get each miniature kimono with its hanging chopstick and coordinating embroidery floss for hanging (though some people have put them in shadowboxes instead of hanging). Then it is time for their individual “photo shoots” for their Etsy shop listings. 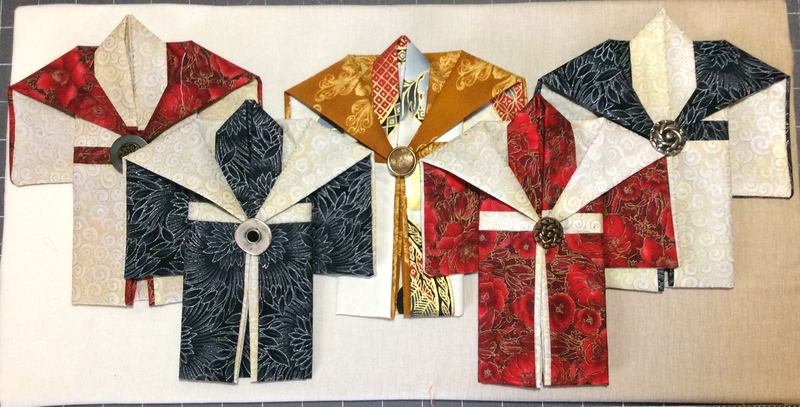 Figuring in the cost of materials, time to make them, and Etsy seller fees, I figure I make like $3 – $4 per kimono. But my Etsy shop is a fun hobby and I enjoy knowing that my handmade creations are in peoples’ homes around the country (and Canada!). If I tried to live off my Etsy shop I really would be foraging for free neighborhood fruit (like in prior post) for sustenance – ha! Recently I decided I wanted my Etsy shop items to look a little more polished by adding a professional label to some items. 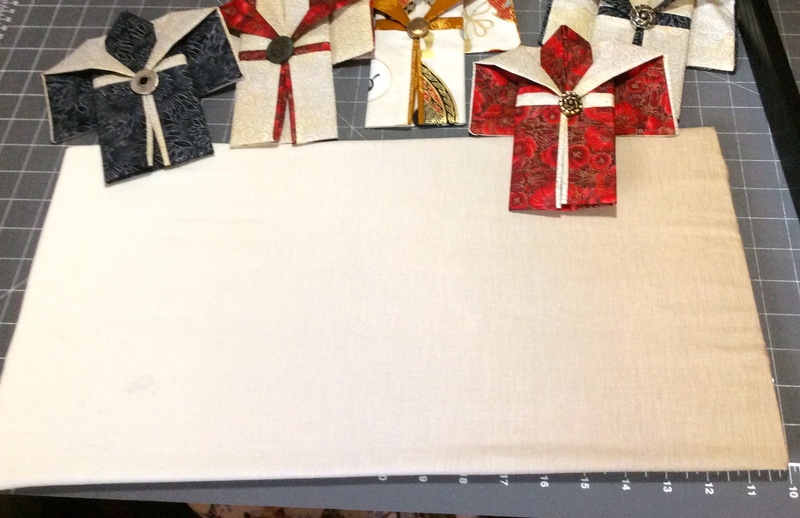 I will not add the label to the miniature kimonos but I will to future art pillow and table runner creations. I purchased the labels from another Etsy shop (Wunderlabel) and guess what color they are in? ORANGE! This week I started a new schedule for my health care job (the job that keeps the lights on) – I work Tuesdays to Fridays and have Mondays off from work. Mondays are now a day to focus on tierneycreates – making handmade items for my tierneycreates Etsy shop and working on art quilts for The Wardrobe Meets the Wall. 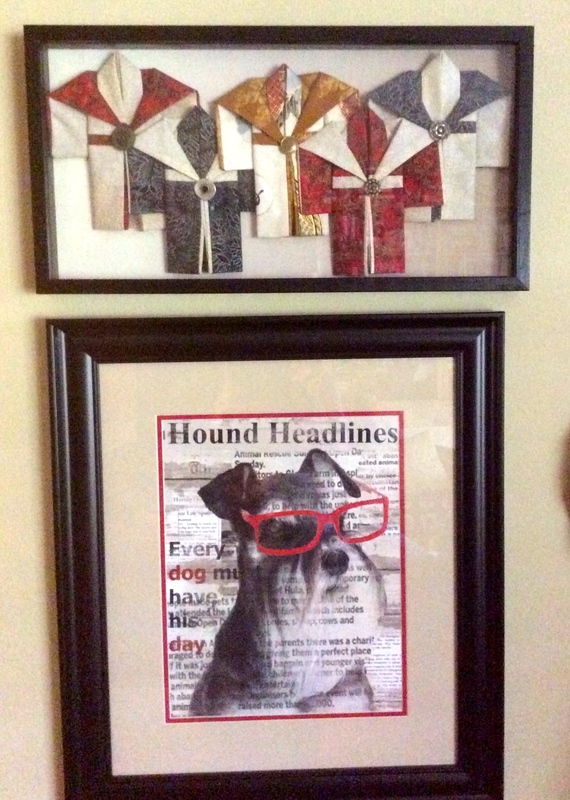 In my previous post, The Seven Habits of Highly Effective Crafters, I discuss my crafting goals in the context of Stephen Covey’s 7 Habits of Highly Effective People. Covey’s habit #1 is “Be Proactive”. On my first Monday off in my new work schedule, motivated by revisiting Covey’s 7 Habits, I was actually PROACTIVE! 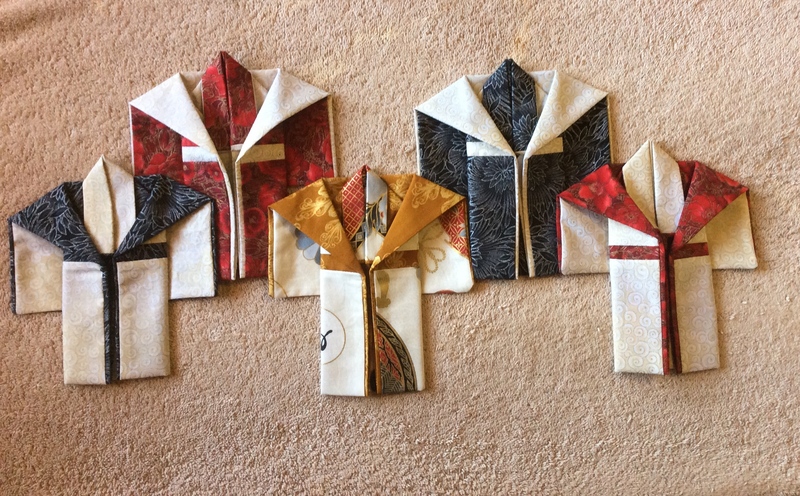 As I stated in my previous post: “Those projects will not just start or finish themselves, Tierney!” Today I worked on 24 new miniature kimonos for my Etsy shop. Miniature kimonos were the first items (besides my vintage Barbie collection) that I offered on the tierneycreates Etsy shop when I first opened it in late 2013. They ended up being more popular than I anticipated and I am adding a new batch. I may stop making them after this batch as I would like to focus on other small items for the shop. I experimented with some new colors and combinations I have not tried before. I will finish them up with their own unique decorative button and possibly a tassel (if the tassel works with the button and color combination. 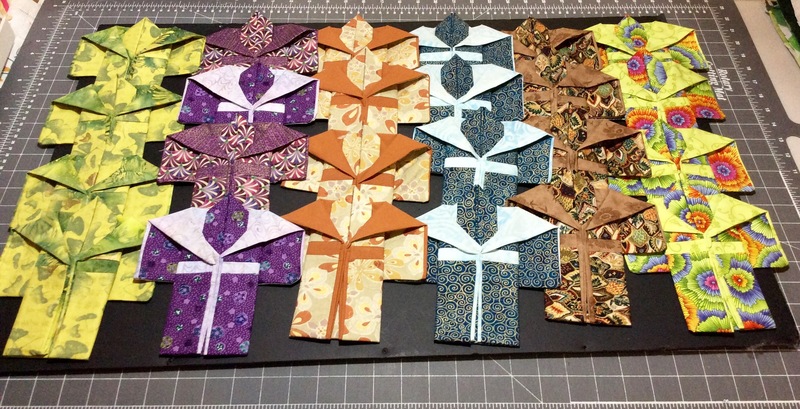 It felt good to be proactive and get a new load of kimonos started, even if it was tedious and tiring at times. 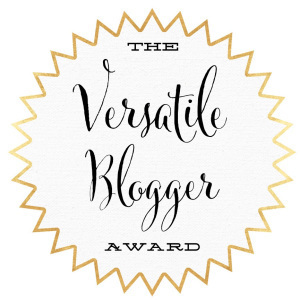 I am still working towards to achieving my 2015 goal of having 100 items on the tierneycreates Etsy shop and the only way to achieve that is to be proactive and make stuff! 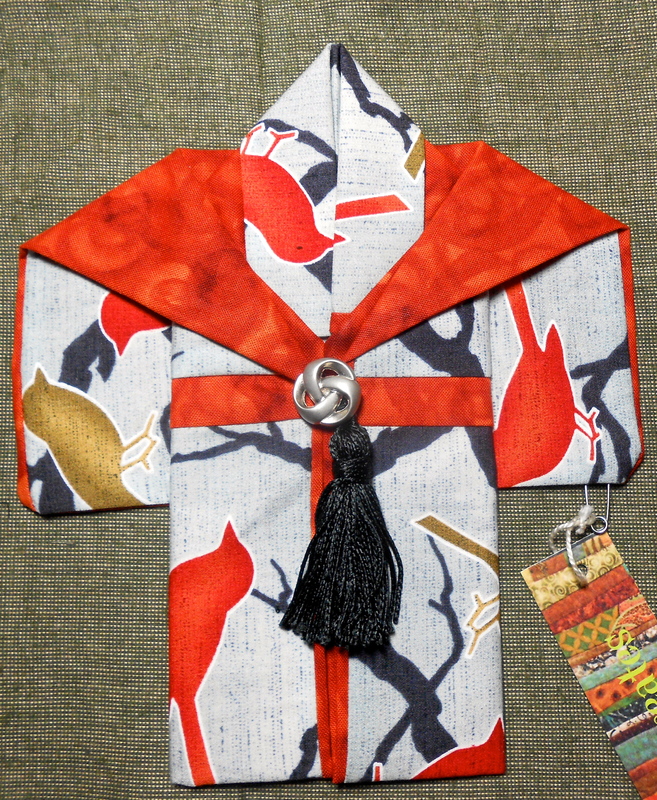 Last Friday I got some thrilling news: a local shop enthusiastically agreed to carry my kimonos on commission in their shop. We even talked about them being displayed on a Christmas tree in the shop. 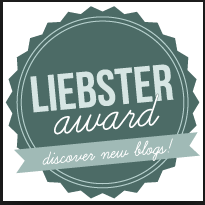 I was overwhelmed with excitement and shared this wonderful news with family and friends. I spent the next week after work, some times late into the evening, getting my kimonos ready to deliver to the shop the following Friday (today). 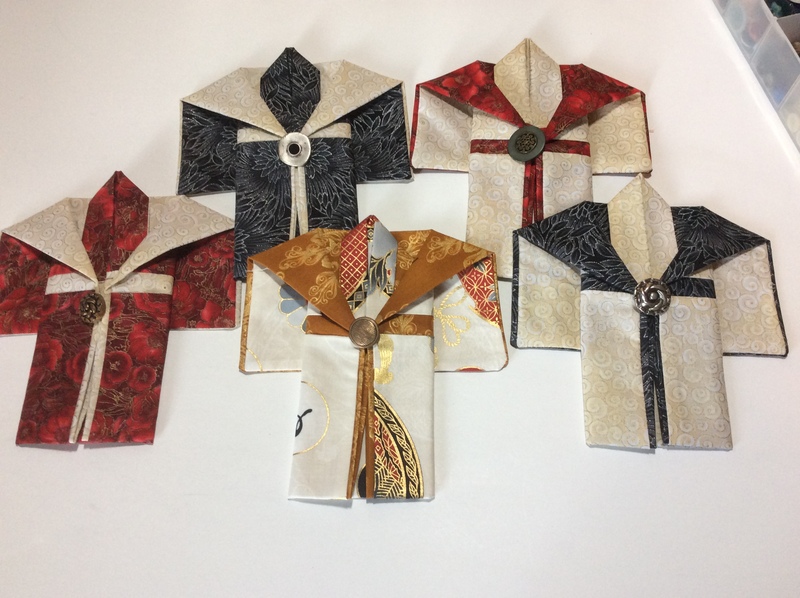 In my fervor of excitement, I made a couple new kimonos using beautiful holiday fabrics and a couple kimonos with new Asian fabric I just purchased, to add to those to be displayed at the shop. I was feeling very UP – I was flying with anticipation of my first opportunity to market to the public and sell my kimonos- they would be on display and for sale during the holiday shopping season! 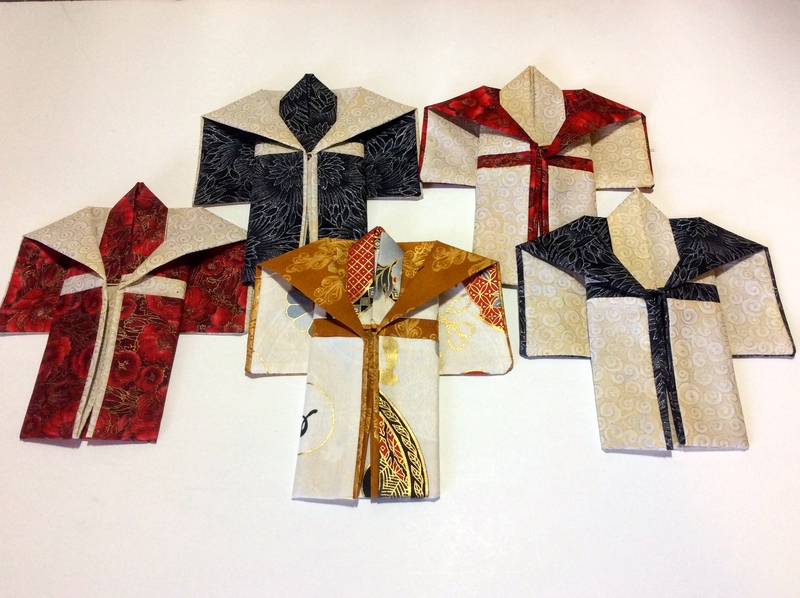 This morning I called the shop to set up a time to deliver them and the shop owner abruptly informed me that it would not work out, the shop would not be able to carry my kimonos. The shop owner’s reasons were not clear and I was not sure what went wrong. CRASH! I was now feeling very DOWN, so much that my eyes filled with tears. I also felt an overwhelming sense of embarrassment from sharing prematurely with friends and family my news of a local shop carrying my kimonos. Now an hour later, after talking with my husband and then a close friend, I am feeling UP again. Not only did their support help, I realized that whenever you venture out there in life, whenever you take a risk – there is bound to be some disappointment and some “failure”. That is just the way life works. 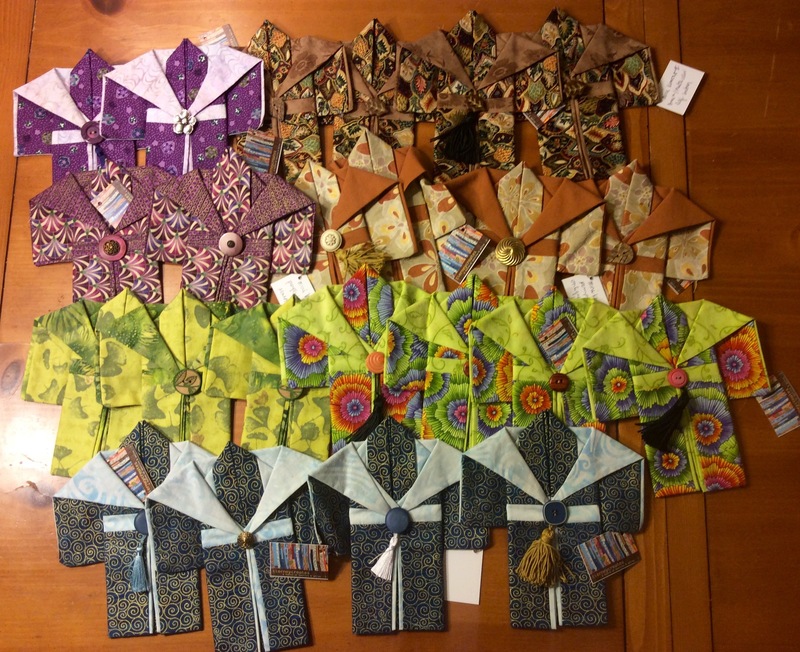 I realized that what I have done this past week is get the kimonos fully ready for sale…and this now means they are ready for listing on Etsy (and getting my Etsy shop up and running!). I bear no ill will towards the shop owner and respect that it just did not work for them. 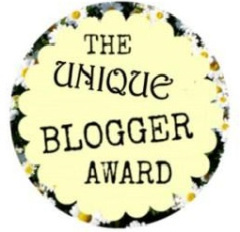 I actually thank them for giving me an impetus to get the kimonos sale ready and tagged!